Just in time for Memorial Day weekend, Georgia officials have teamed up to launch a comprehensive summer driving and boating safety campaign. The Georgia Department of Natural Resources, The Georgia State Patrol and The Governor’s Office of Highway Safety started the new campaign on Monday, May 19, 2014, in an effort to keep families safe and boaters and motorists from drinking and driving. 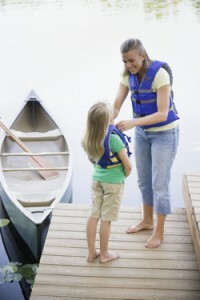 Unfortunately, Georgia motor vehicle and boating accidents soar during the summer months. Tragically, many of these fatal accidents are caused by impaired boaters and motorists and could have easily been prevented. Last year, the state boating under the influence limits were lowered to match driving limits, at 0.8. This summer, several Georgia departments are working together to crack down on impaired boaters and motorists and to strictly enforce seat belts, life vests, speed limits and distracted driving. In consideration of our many clients who have lost loved ones or suffered injuries due to impaired drivers and boaters, The Murray Law Firm reminds our readers to please drive responsibly this season. We wish you all a safe and healthy summer!